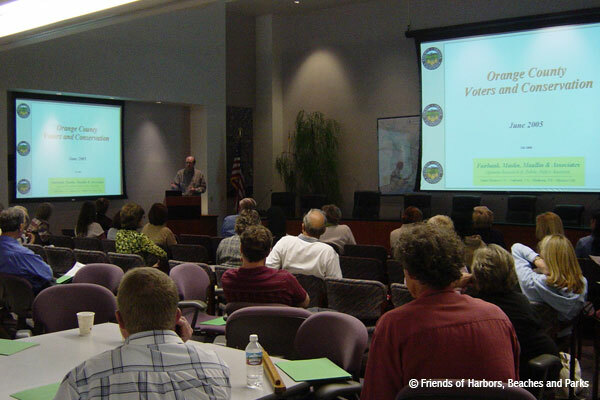 In 2000, Friends of Harbors, Beaches and Parks (FHBP) created the first of its kind Greenprint. This Greenprint became known as the Green Vision Map and it documented the wish list of properties conservation groups sought to protect in perpetuity. With the Green Vision Map gaining traction and now available as a resource and tool, FHBP united the conservation community through the Green Vision Coalition. What we realized was that our voices were much stronger united than they were alone. By aligning our advocacy and our individual projects into one unified and cohesive effort we have developed better leverage and opportunities for success. That’s when FHBP set about creating the Green Vision Coalition. The mission of this Coalition was to “increase funding for parks, water quality, and open spaces.” Now, a decade into the effort there are more than 85 organizations at the local, regional, and statewide level behind this effort. See a partial list of the Green Vision Coalition Roster.